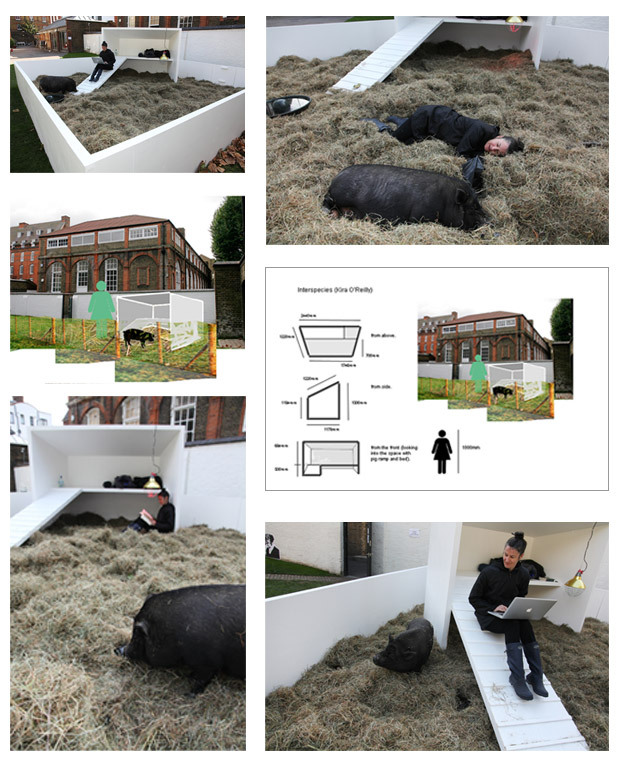 Aesthetic concept design of pig-pen for performance artwork in which a human and pig co-habited. We produced a modular construction off-site (MDF/pine construction), transport and logistics, on-site assembly and de-installation. 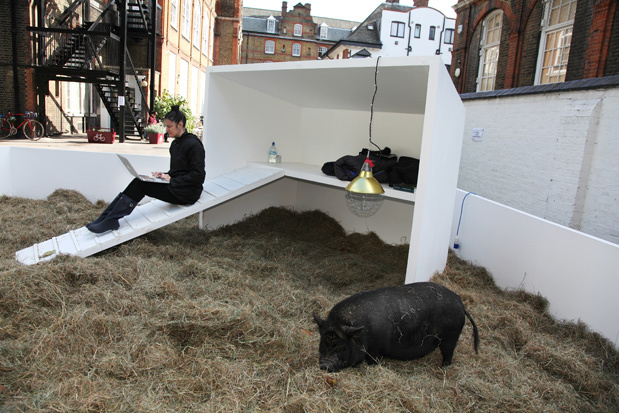 Client: The Arts Catalyst (artist: Kira O'Reilly) 'Interspecies' Exhibition, The A Foundation, London, 2009 (photo: Kristian Buus).